The University of Missouri's Cambio Center leads research and outreach on Latinos and changing communities. 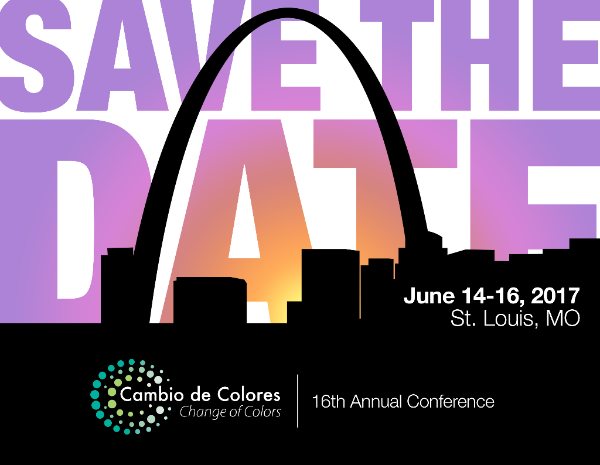 The 16th annual Cambio de Colores conference will take place from June 14-16, 2017 at the University of Missouri - St. Louis. Save the date! Please share this information with your colleagues, students, networks, and social media contacts. The Call for Presentations will be circulated soon. Join the conference newsletter to receive monthly updates. We share news about our fellows on the Cambio Center Website, where you can find more details about the updates provided below. Dr. Stephen Christ joined UMKC this fall as Assistant Teaching Professor of Social/Behavorial Science in the UMKC Honors College, and is affiliated with the UMKC Latina/Latino Studies program. He continues his research agenda along with his teaching portfolio. Dr. Crawford-Rossi is helping to build a more inclusive environment for international students on campus. She shared her expertise as a panelist in the Oct 7th discussion Building and Nurturing Mutual Connections: Mizzou Ed International Students, Faculty and Professional Staff. Crawford, E., R. & Valle, F.(2016). Educational justice for undocumented students: How school counselors encourage student persistence in schools. Education Policy Analysis Archives, 24 (98). Dr. Gonzalez is the co-program director of a recently award grant from the USDA to support efforts to help veterans, Latinos, women and socially disadvantaged persons to farm or go into agribusiness. Eleazar has worked for many years with beginning Latino farmers and ranchers, and will lead four workshops in Spanish in areas with large Latino populations. Learn more here. 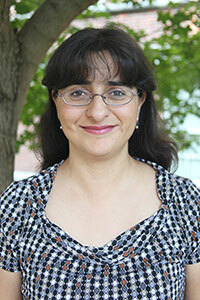 Dr. Mendoza has a new article available on her research in higher education in a community college in Bogota. Mendoza, P., Suarez*, J.D. & Bustamante*, E. (2016). Sense of Community in Student Retention at a Tertiary Technical Institution in Bogotá: An Ecological Approach. Community College Review (44) 4, 1-29. 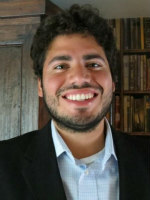 The Cambio Center welcomes four new student fellows to its student fellow program. Bienvenidos! Layla Padgett, who is pursuing her masters of Social Work and focuses on housing policy, rights and resources for refugees and immigrants. The Cambio Center invites graduate students whose interests are relevant to the Cambio Center Mission to become Student Fellows. The Student Fellows are integrated into the network of Fellows at the Center. More details are available here. The Population, Education, and Health Center (PEHC) is pleased to announce a Call for Proposals for the Research Data Center Small Grants Program for the 2017 academic year. PEHC will support applications by MU researchers to undertake research using confidential data accessed through the MU Research Data Center (MU RDC). All University of Missouri research faculty and staff without prior experience working with RDC data may submit applications. Applications for the spring 2017 can be made through December 12th, and for fall 2017 funding are due May 1, 2017. Funds will be awarded in June. Visit their website for more information. The Inter-University Program for Latino Research in co-sponsorship with The University of Texas at San Antonio’s Mexico Center, has announced a call for papers for their sixth biennial Siglo XXI Conference on the Mapping of Latino Research, which will be at the University of Texas at San Antonio, May 17- May 19th. The Siglo XXI Conference will coincide with the internationally acclaimed Tejano Conjunto Festival hosted by the Guadalupe Cultural Arts Center. The Immigrant Learning Center is holding a free webinar. Hear from experts in immigrant integration, policy and education on how you can use local immigration numbers to bring about changes that benefit all Americans. Get a live demonstration of Immigration Data on Demand (iDod), a new, online service that generates free, customized fact sheets on immigrant populations down to state, county, congressional district and even neighborhood levels. Tuesday, December 6, 2016, from 1:00 to 2:00 p.m. EST. Register today. Welcoming America's toolkit shares promising practices to build meaningful contact between diverse populations, to use positive communications strategies, and to engage civic and community leaders. By strengthening relationships, leaders seeks to create a positive vision for our communities. The United States has long attracted some of the world’s best and brightest, drawn by the strong U.S. economy, renowned universities, and reputation for entrepreneurship and innovation. But because of language, credential-recognition, and other barriers, many of these highly skilled, college-educated immigrants cannot fully contribute their academic and professional training and skills once in the United States. As a result they work in low-skilled jobs or cannot find a job—a phenomenon known as brain waste.